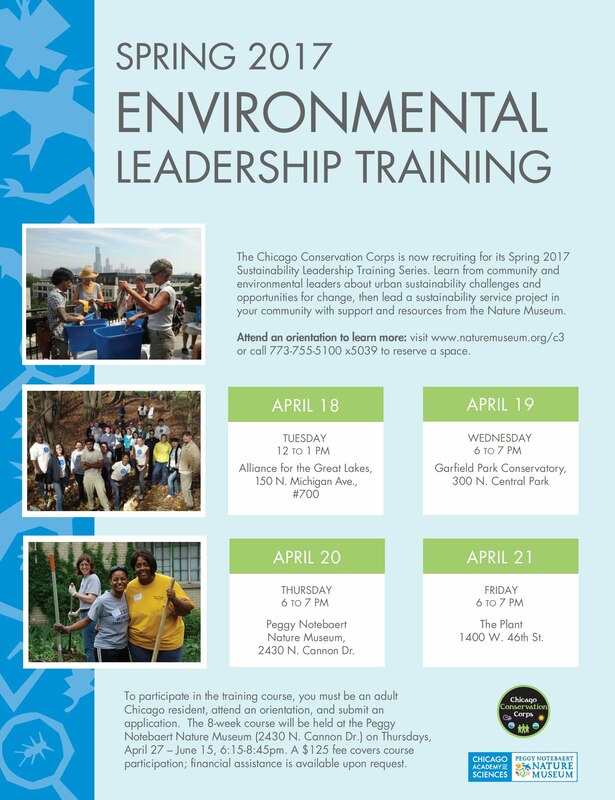 The Chicago Conservation Corps is now recruiting for its Spring 2017 Sustainability Leadership Training Series. Learn from community and environmental leaders about urban sustainability challenges and opportunities for change, then lead a sustainability service project in your community with support and resources from the Nature Museum. Attend an orientation to learn more: visit www.naturemuseum.org/c3 or call 773-755-5100 x5039 to reserve a space.